Will Ali Unite a Divided Community? Few people have received as much love around the world as Muhammad Ali did during his lifetime. It was about more than his athletic ability; he was loved for sacrificing his career for the sake of social justice. He became a "People's Champion" by championing the causes of oppressed people around the world. These tributes were offered to Muhammad Ali during a memorial organized at Vital Link School in Southeast Raleigh on Thursday, June 9th. Home to the oldest Muslim community in the Triangle area, Vital Link school also houses As-Salaam Islamic Center, a future mosque project in the Southeast Raleigh. The late Kenneth Murray Muhammad moved from Maryland to North Carolina in the early 1960s and established the first mosque in North Carolina - Masjid Ar-Razaak in Durham. He and his wife, Margaret Rose Murray, established the private Vital Link Schools in Raleigh. Their selfless devotion and service to the community attracted community members from all backgrounds. One such individual was Muhammad Ali, who stayed with the Murray family in Raleigh in 1967. 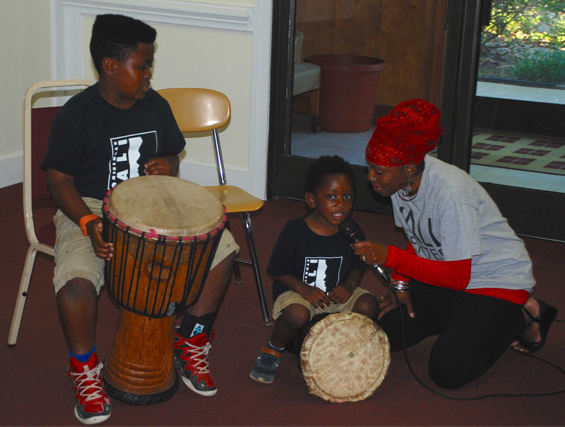 Thursday's event brought together representatives from Vital Link School, As-Salaam Islamic Center, Black Workers for Justice and the broader Black community in the Triangle area. The primary tribute paid to Muhammad Ali was for his commitment to speaking truth to power and his sacrifices for social justice. Muhammad Ali's refusal to serve in the Vietnam War, at the cost of losing his boxing title, endeared him to black and brown people and justice loving communities around the world. He connected the movement against anti-Black racism in the United States to other liberation struggles at home and around the world, including the fight for Native American and the Palestine rights. It is this legacy that endears him to many Muslims and non-Muslims alike. Vast changes have taken place in the American Muslim landscape over the decades. An influx of immigrant Muslims started after a visa-policy change in 1965, that allowed highly educated Black and brown immigrants to migrate to the USA. Many of these immigrant Muslims established their communities, but were disconnected from the history of the civil rights movement or contributions of Black Muslim leaders. Vijay Prashad in his books Karma of Brown Folk argues that many immigrants who came to the USA after 1965 were often trapped in their privilege. Labelled as "model minority", they were used by racist forces as a wedge against the civil rights and social justice movements. A huge divide between many immigrant and Black American Muslims exists to this day. The rise in Islamophobia has acquainted many Muslims to the ugly reality of racism in the USA. Many Muslims have challenged the notion of "model minority" or "good Muslim." Demonizing and dehumanizing of Muslims is part of an enduring legacy of racism or othering in the United States. The narrative of "us-against-them" has been historically used to reinforce and increase social, political and economic disparities in the society. A fragmented Muslim community is ill-equipped to confront the specter of racism and Islamophobia. This realization has spurred many changes in the American Muslim community. Non-Black Muslims throughout the United States are taking an initiative to confront intra-Muslim racism and discrimination. They have developed interventions against intra-Muslim racism and engaged in social justice causes. For example, North Carolina-based Muslims for Social Justice has received mentorship and works closely with a Black Liberation organization - Black Workers for Justice. 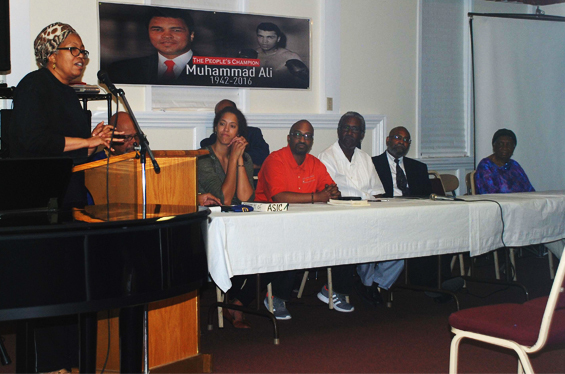 Muslim social justice activists find inspiration in figures like Muhammad Ali. Ali was received as a celebrity throughout the Muslim and the developing world. Affected with Parkinson's disease that silenced his voice, Ali did not relent in his battle against injustice. Just before passing away, Ali challenged demonizing of Muslims by politicians. It is this legacy of Ali that endears him to Muslims and inspires future intra-ethnic solidarity in the Muslim community.